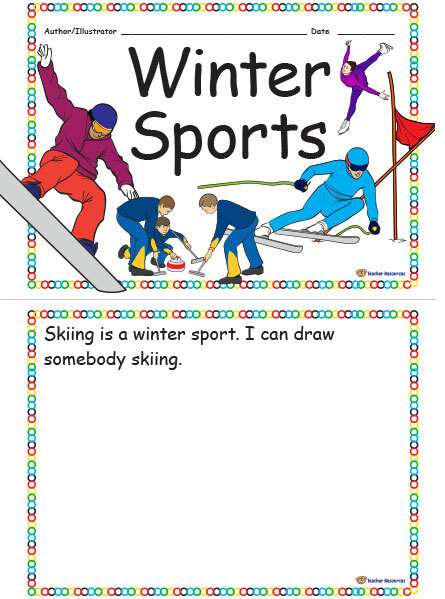 Children use the booklet to identify winter sports. What would come next? – Use the last page of the booklet as an opportunity for the children to add another winter sport and to create their own page.